Dharma Practice is about more than just sitting. It's about how we live. In this six week, online course, meditation teachers Oren J. Sofer and Jaya Rudgard offer in-depth training to nourish the insights and learnings from a retreat. Through practical, down-to-earth videos, practices, and readings, you'll learn versatile tools to bring the teachings into your life. The interactive discussion forums and live Q&A sessions offer mentoring for your meditation practice. And the recorded interviews with some of the most well-known, founding Insight Meditation teachers provide insights on the key components of the transition after a retreat and the foundations of practice in daily life. 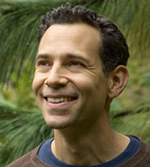 Oren J. Sofer has practiced Buddhist meditation since 1997 and is a graduate of the IMS-Spirit Rock Teacher Training. He is a long-time student of Joseph Goldstein, Michele McDonald and the Venerable Ajahn Sucitto, and holds a degree in Comparative Religion from Columbia University. 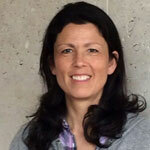 Oren is also a Principal Teacher at the Marin Sangha, a Collaborative Trainer with BayNVC, and a Somatic Experiencing Practitioner for healing trauma. Jaya Rudgard spent eight years as a Theravada nun in the Thai Forest Sangha in the UK with Ajahn Sumedho and is a graduate of IMS-Spirit Rock Teacher Training. She teaches mindfulness and Dhamma at meditation retreat centers and local communities throughout the UK, the United States, and elsewhere. Rolling admissions; the course is open 365 days a year! Fee: $99 - 189, sliding scale. How long do I have access to mentoring for my practice and the live Q&As? Your enrollment provides eight weeks of access to online mentoring and live Q&A sessions. That's four live Q&As PLUS an extra two weeks of online mentoring beyond the six-week course. After you complete the course, you'll have an option to continue with the live Q&A sessions on a monthly subscription basis.